Established 1874 on land donated by Col. B.C. Butler. Mission church of Warrensburg and later Corinth. Demolished and rebuilt in 1929 as Church of the Holy Infancy. Became parish church in 1956. Location. 43° 19.546′ N, 73° 50.373′ W. Marker is in Lake Luzerne, New York, in Warren County. Marker is on New York State Route 9N, on the left when traveling north. Touch for map. 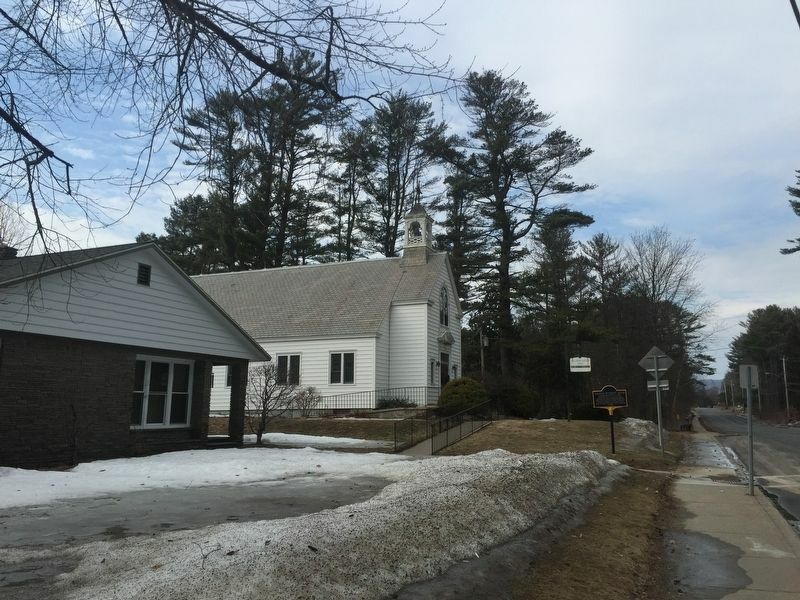 Marker is in this post office area: Lake Luzerne NY 12846, United States of America. Touch for directions. Other nearby markers. At least 8 other markers are within walking distance of this marker. Site of Wayside Inn (approx. ¼ mile away); Garnar Tannery (approx. 0.4 miles away); Jessup's Patent (approx. 0.4 miles away); St. Mary’s Church (approx. half a mile away); First Wilderness/ Lake Luzerne (approx. half a mile away); First Methodist (approx. half a mile away); Jeremy Rockwell (approx. 0.6 miles away); Church Of Rockwell Falls (approx. 0.6 miles away). Touch for a list and map of all markers in Lake Luzerne. More. 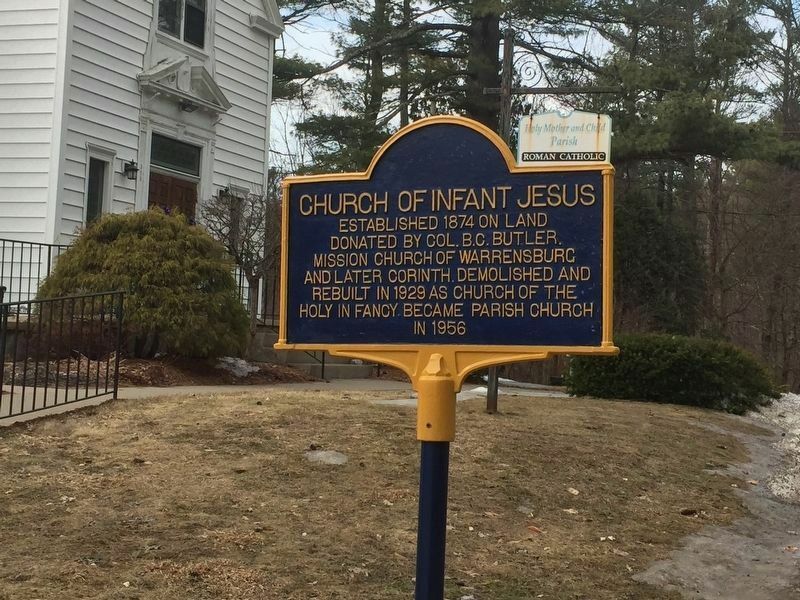 Search the internet for Church of Infant Jesus. Credits. This page was last revised on April 2, 2019. This page originally submitted on April 1, 2019, by Steve Stoessel of Niskayuna, New York. This page has been viewed 34 times since then. Photos: 1, 2. submitted on April 1, 2019, by Steve Stoessel of Niskayuna, New York. • Bill Pfingsten was the editor who published this page.